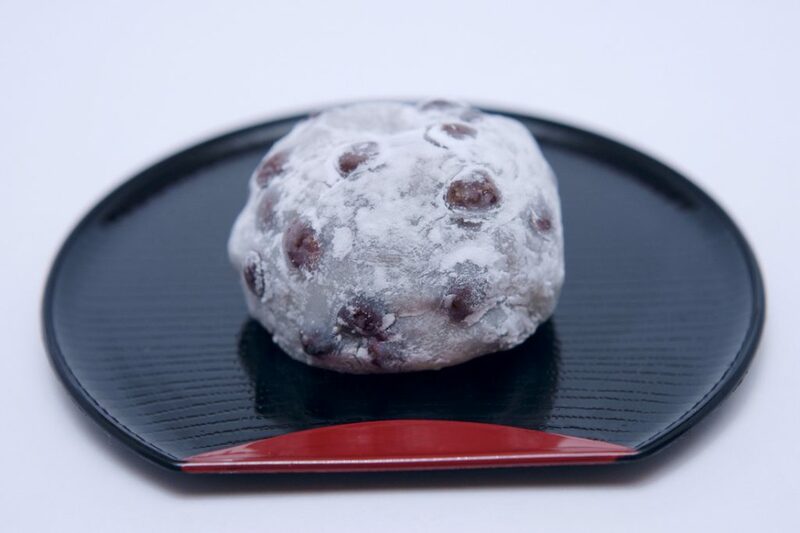 Daifuku is Japanese rice cake with sweetened beans in it. What makes these sweets unique from others is rice cake is so soft, it makes you smile every time you take a bite. Nowadays, we have varieties of fill like whipped cream, custard cream, and so on. 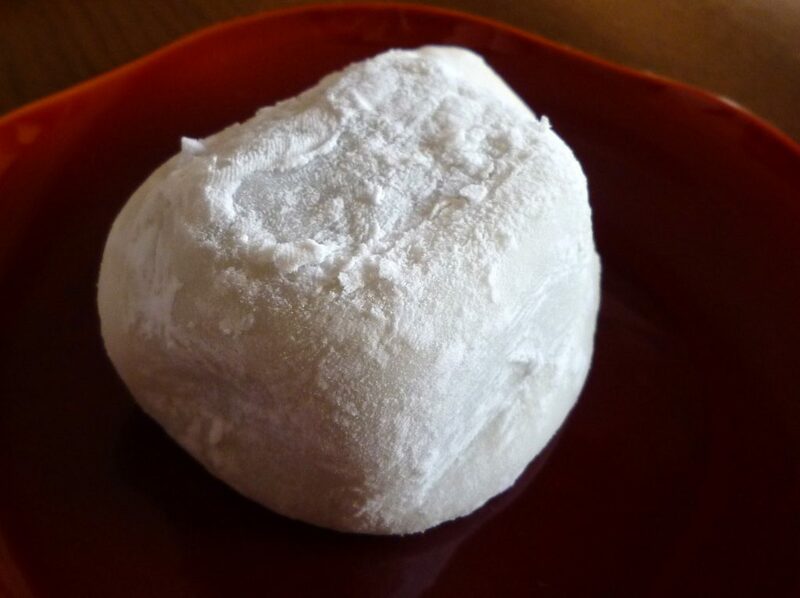 We will especially take a look at Mame-daifuku (bean rice cake) which is really popular today. Let’s check out the best 5 rice cake shops in Tokyo! 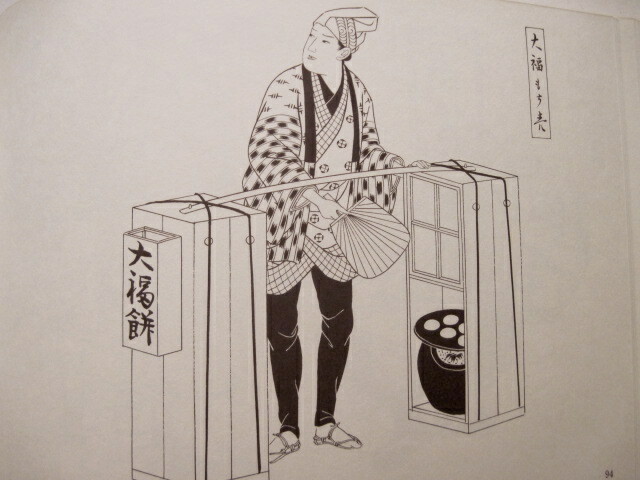 In the late period of Muromachi era (1336-1573), there was already Daifuku-like confection which was called “Uzura-mochi”. 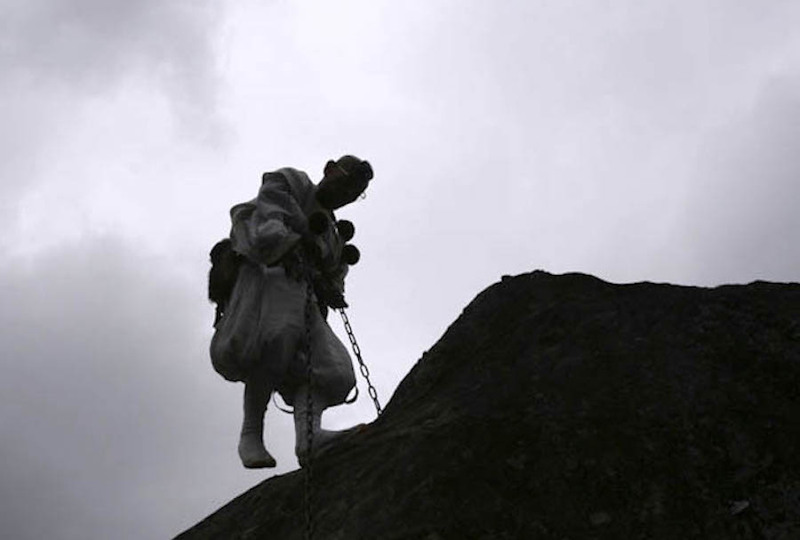 Uzura is a quail, so its shape was like a bird and its belly was large. Hence it was called “Harabuto” (large belly) as well. The paste in it was salted beans. 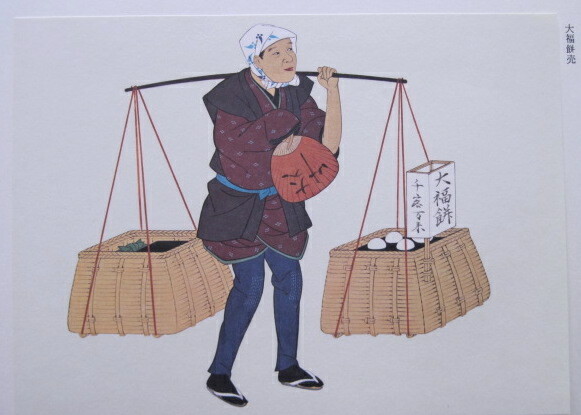 In 1771, a widow started to sell smaller and flattened confection with sweetened beans in it which were named “Otafuku-mochi” (plain-looking rice cake) or “Daifuku-mochi” (large belly rice cake). 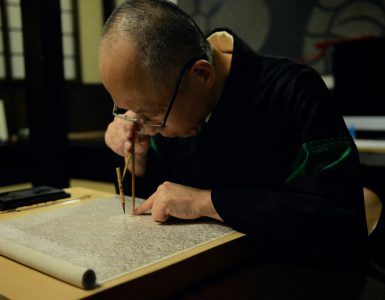 In the late of 18th century, it had been cooked and sold at stools in the evening, and people began to call them “Daifuku” with good luck meaning kanji characters. 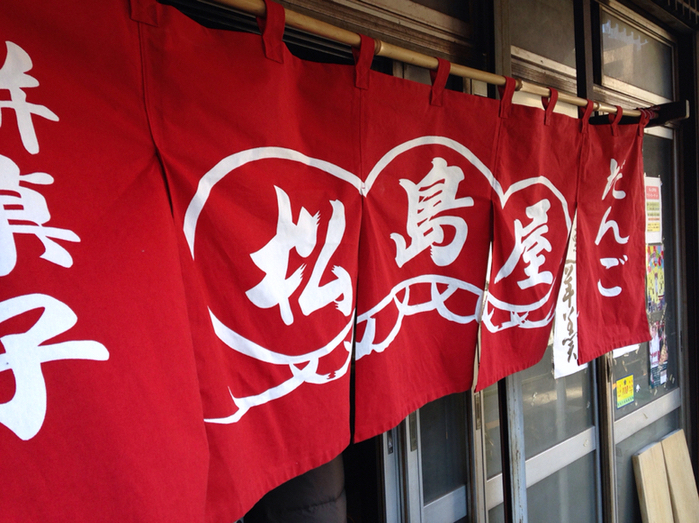 Some sellers put “Kotobuki” (celebration) on them with red food coloring, used for celebration. So it is believed that eating Daifuku brings a good luck! 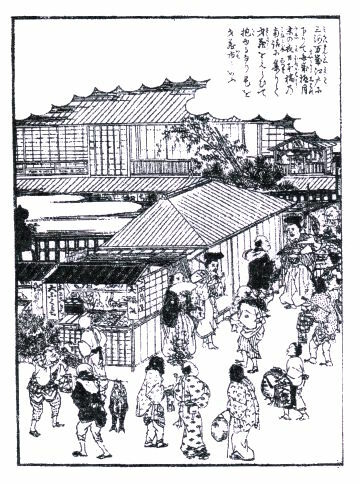 The picture above shows the crowded street in Edo. 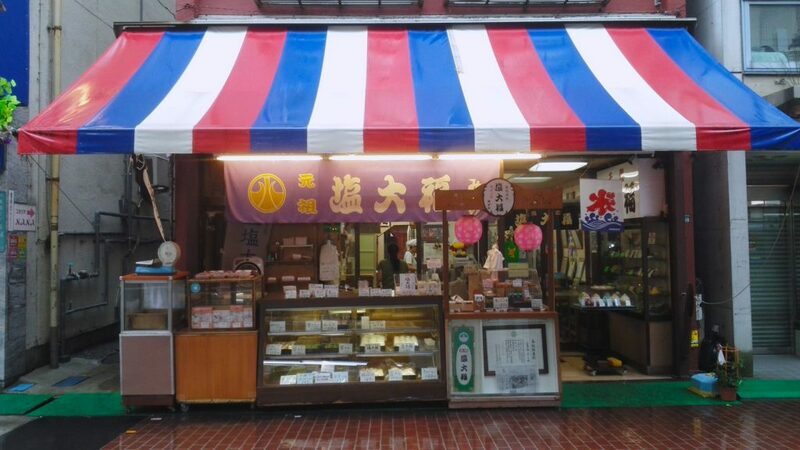 There’s a small Daifuku shop displaying rice cakes at the front. You can see kadomatsu in front of the shop, which is New Year’s decoration made with pine trees and bamboos, and a man carrying salted salmons, which tells you this is at the end of the year. It is a time for the Saizo fair which is kind of an entertaining talk show a pair of comedians gives by visiting houses. 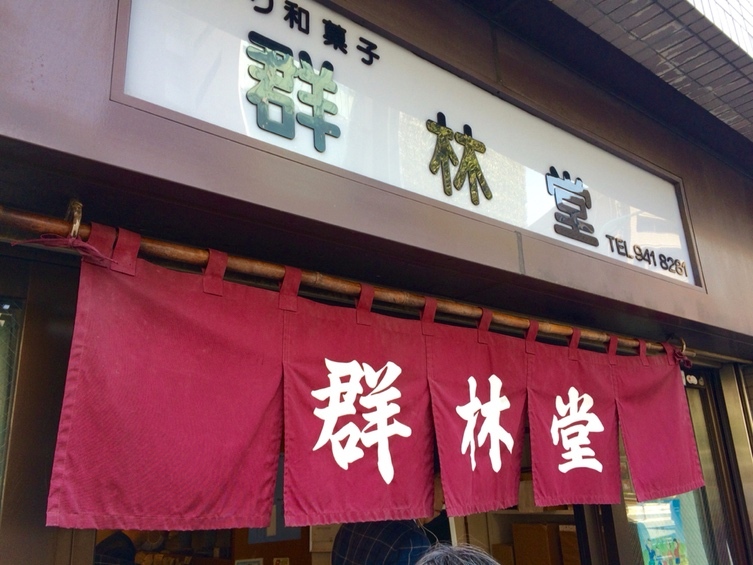 Saizo is a partner of Tayu of Mikawa manzai (cross talk). Entertainment and laughter made this time of the year lively and people prayed for the New Year. It has so many varieties of fill and its texture. But overall, they are so soft and bean paste is so fulfilling. The shops we picked have a long history of making them and make people happy without a fail. 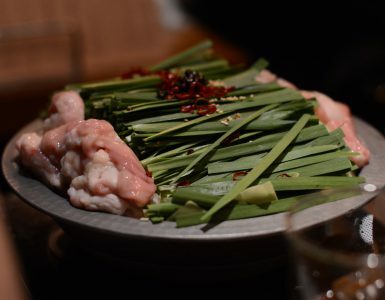 You have a lot of options when you are in Tokyo, below is our favorite pick you can start with and we are happy if you find your own favorite one! 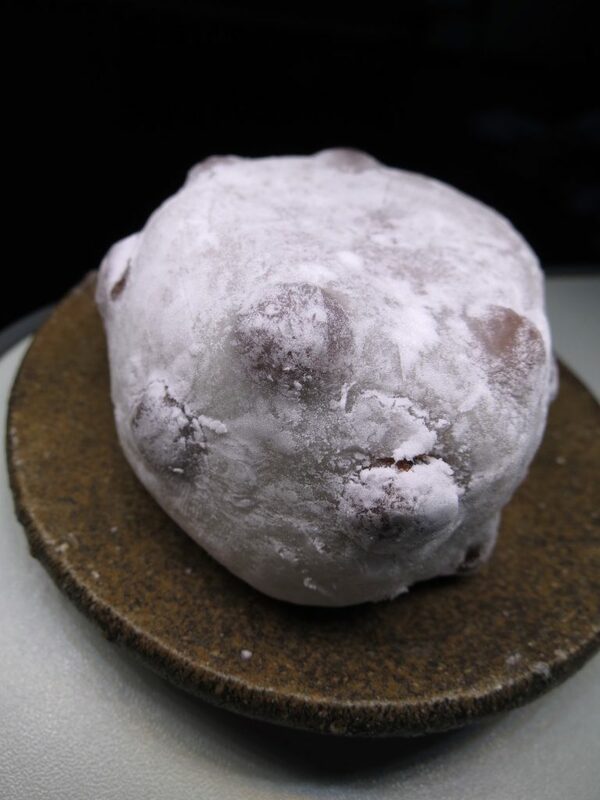 Gunrindo’s Mame-daifuku is so popular, it usually is sold out in the early afternoon. They use red peas from Furano, and adzuki beans from Tokachi both from Hokkaido. The taste of salty and sweetness is marvelously balanced. 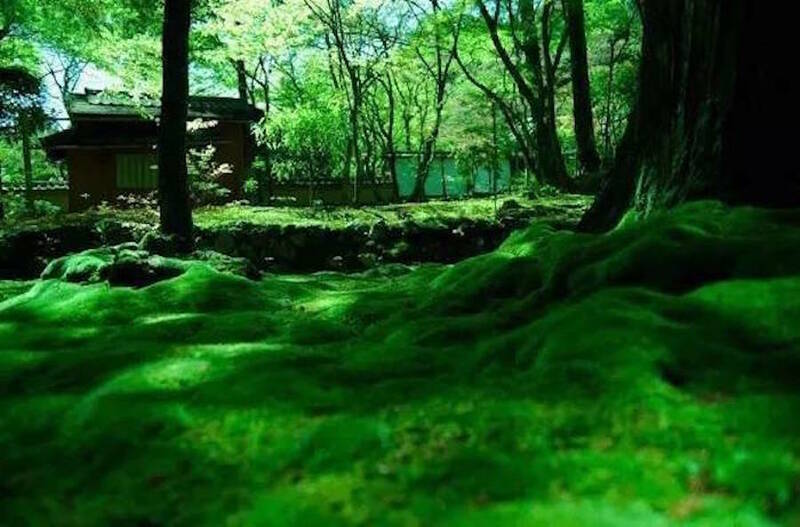 Gunrindo is located in the district of major publishing companies so it’s said great writers like Mishima Yukio and Matsumoto Seicho loved its daifuku very much. 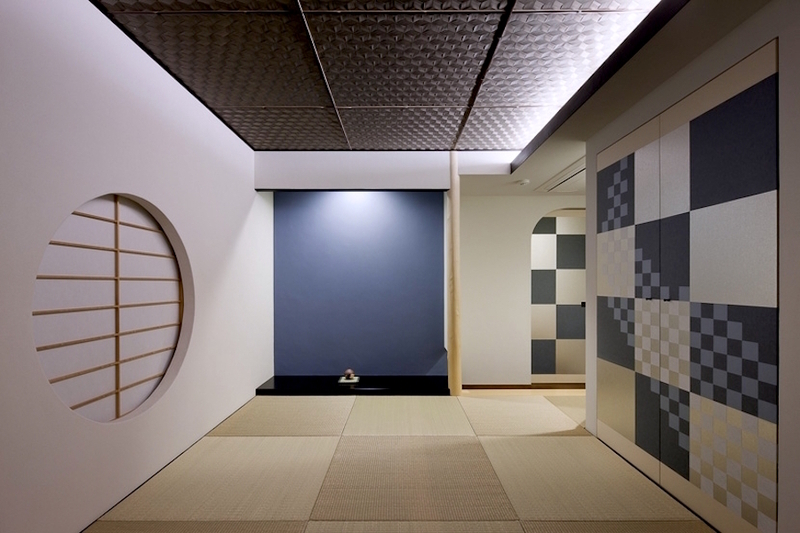 This is the shop you can’t miss if you happen to be in Tokyo! 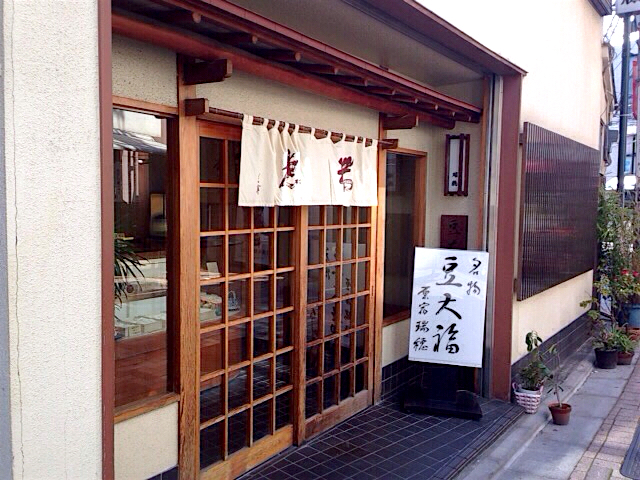 As soon as you enter the shop, you can smell the sweetness of steamed rice. You should visit before 1 p.m. to make sure there is still your share. 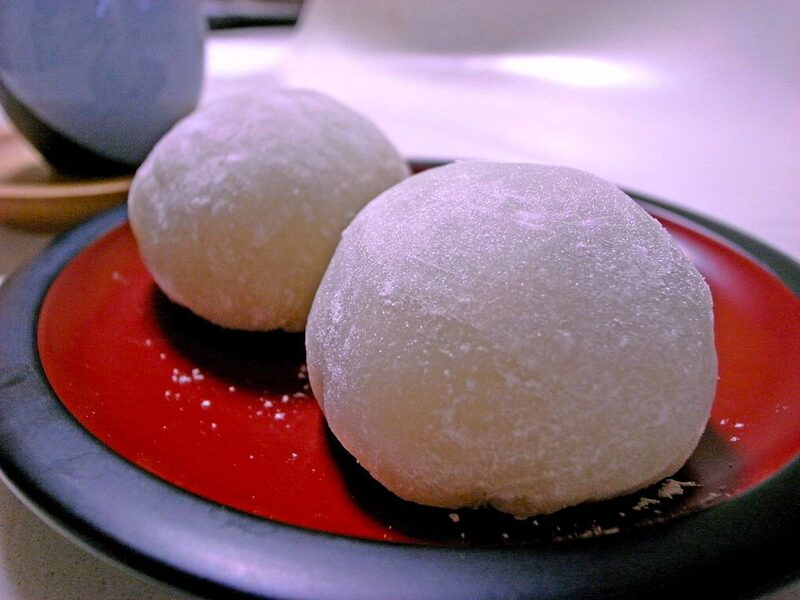 You can enjoy the elastic texture of the rice cake and strained pea paste, which is rare for Mame-daifuku. 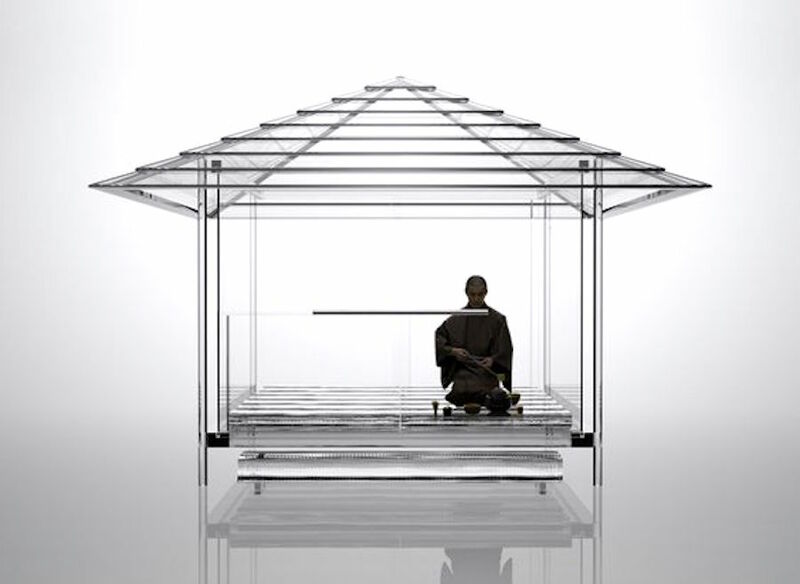 Closed: Sunday, Middle of August and end of the year and the new years. 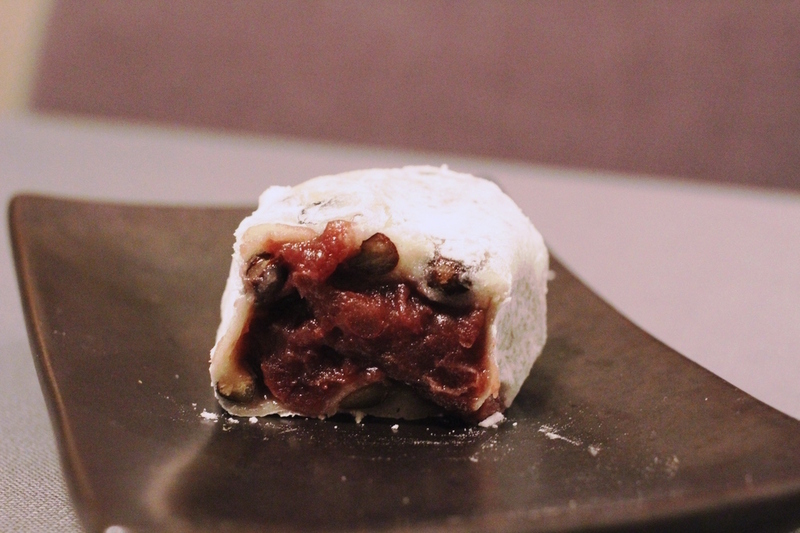 Matsushimaya’s Rice Cakes are little smaller than others, but if you really love the red pea, this is the one for you. 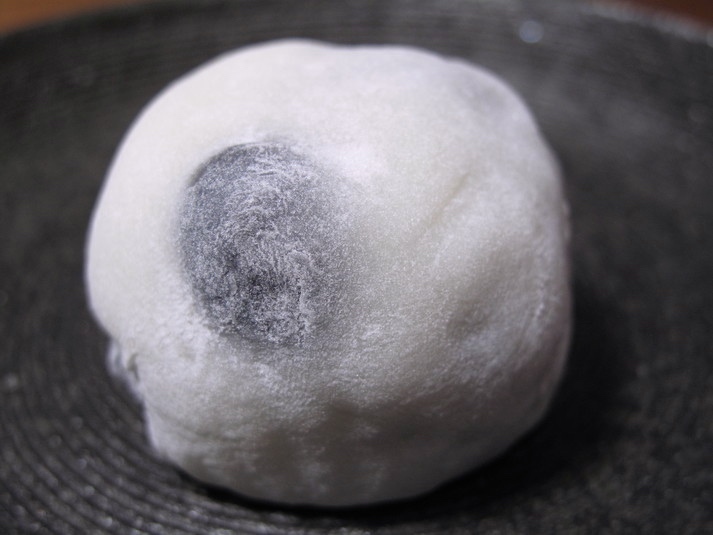 You can taste the red pea really well with this Daifuku. Matsushimaya is located close to the Imperial Residence. When Showa Emperor was a Prince, he used to reside in this residence and mame-daifuku from Matsushimaya is his one of his favorites. 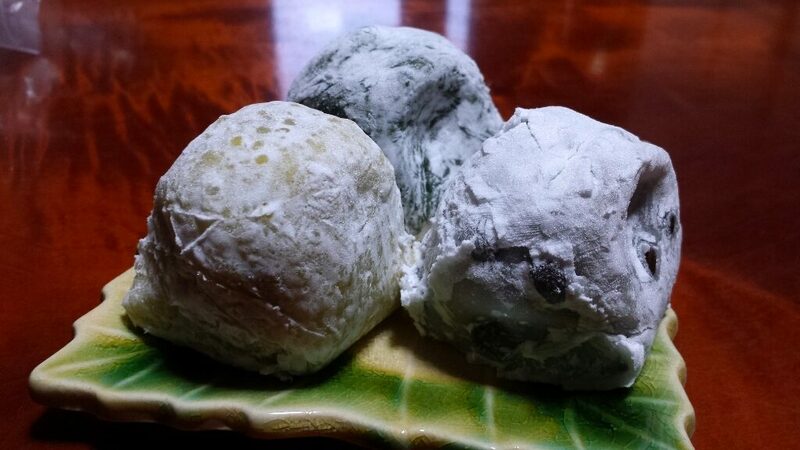 Millet and mugwort Daifuku are delicious as well! 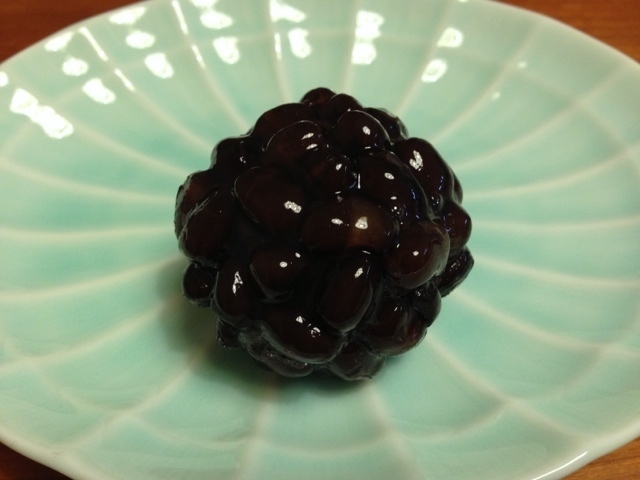 Tsukushi uses black soybean for their bean paste, so if the red pea is not for you, you can try this one. 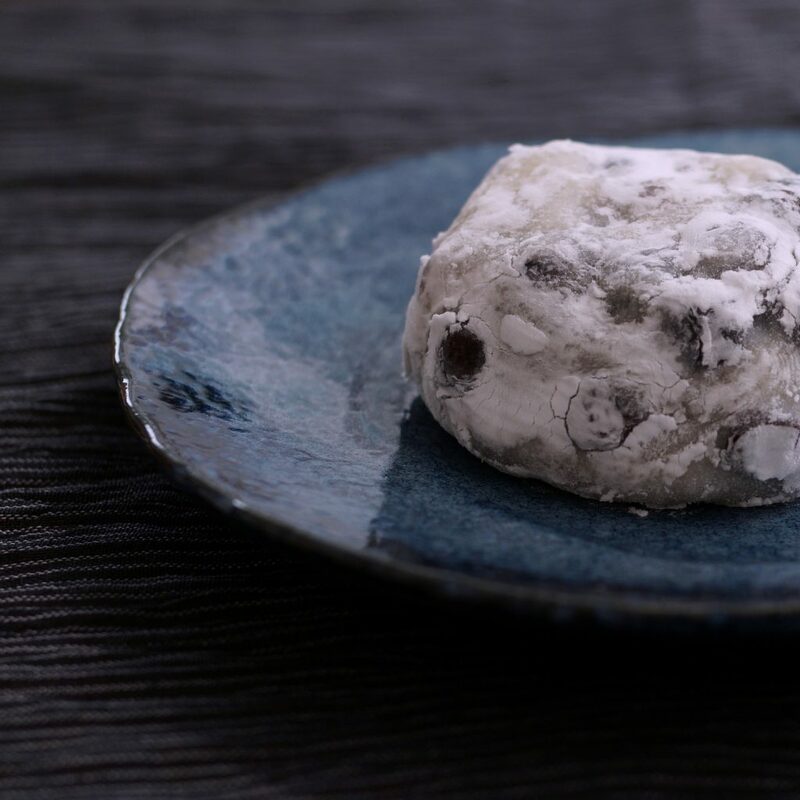 Kanoko is a rice cake covered with sweetened adzuki beans since Edo period. It looks like the pattern of the back of the deer, hence the name Kanoko (child of deer). 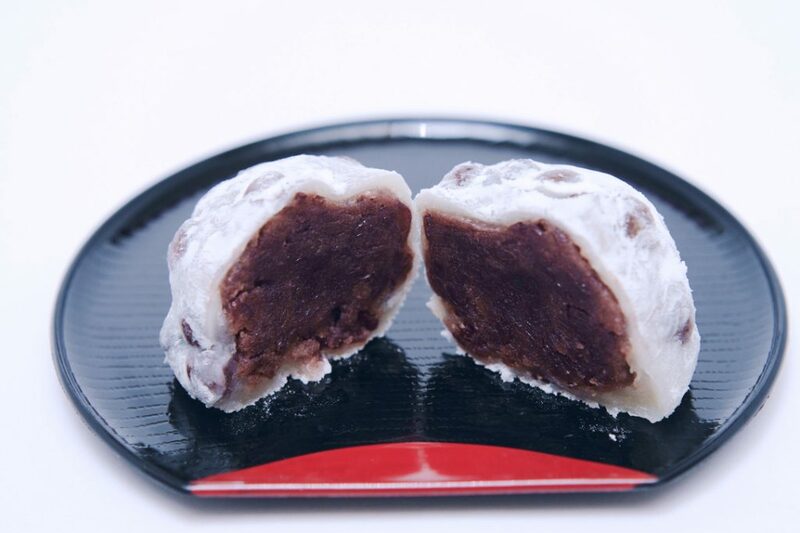 Shio-daifuku is what makes Mizuno famous for. A simple enough rice cake, subtle sweetness and salty taste, it is something you can eat one and another without noticing it. Oh, we need to add one more, Ichigo-daifuku (strawberry rice cake), which looks so cute and tastes so good. Mellow sweetness of bean paste and crispy sourness of strawberry is a fabulous combination. 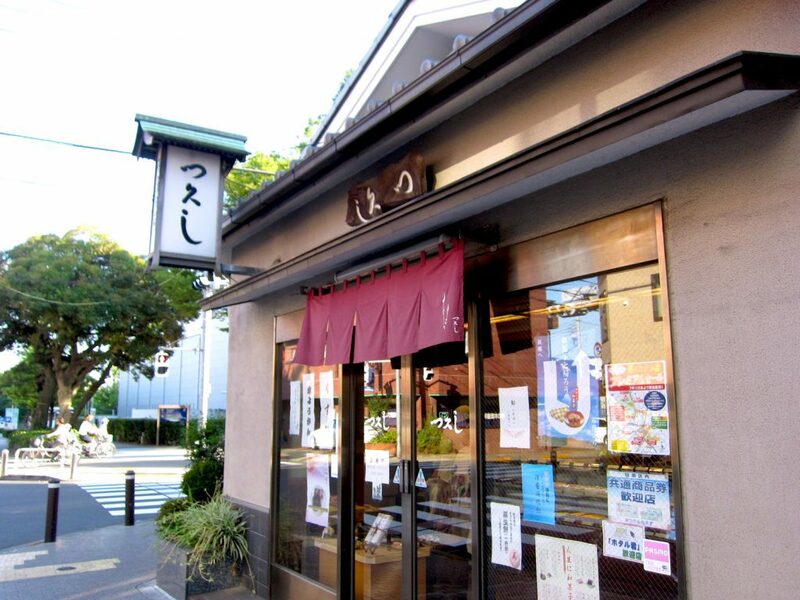 The video below (no subtitle) show the Japanese confectionary shop Osumi-tamaya, which is considered to be the very first shop began selling Ichigo-daifuku. It’s a story about who began making strawberry daifuku who always love making sweets since he was small, trying to make new ones. He says when he introduced strawberry daifuku for the first time, people were appalled and skeptic if it could be eaten. But soon after, the strawberry daifuku caught on and you see them everywhere now. 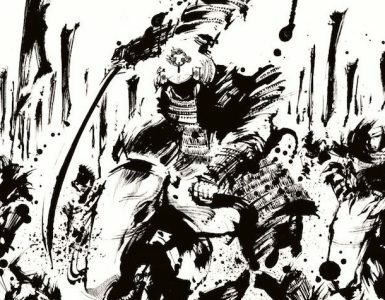 Have you found your favorite store of yours above? We’d love to hear your favorite Daifuku and stores in the comment section below! My favorite is shiro goma daifuku. I do make it myself from time to time but always buy it at the local Japanese store Uwajimaya when I go there, usually for fresh ingredients I can’t get anywhere else, especially the fish to make spicy tuna hand rolls. And to be honest, sometimes I can eat two, because they are so yummy. Shiro goma daifuku ga, diasuki desu!